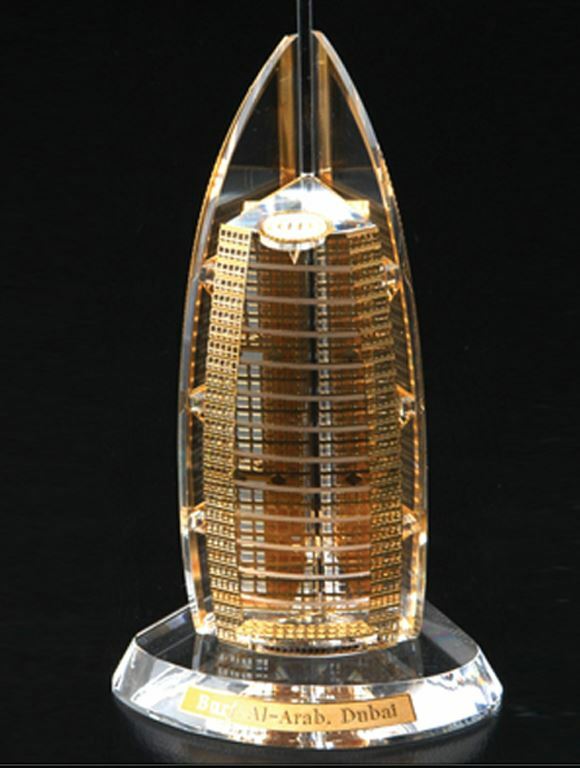 Crystal Building model featuring gold metal cut out highlights. The detail in this piece is exceptional. We can creat any shaped building or, in fact, any shape.